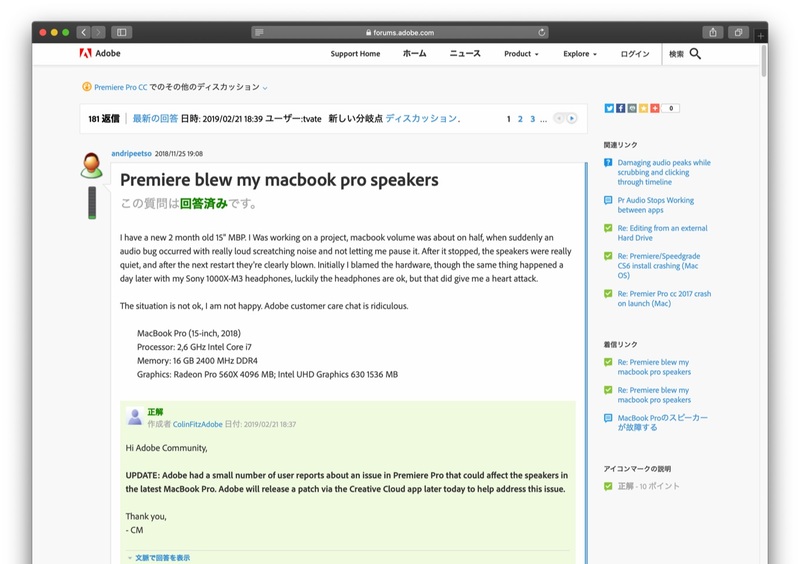 MacBook Pro (2018)でAdobe Premiere Proを利用し実際にMBPのスピーカーが破壊された時の動画が公開される。 | AAPL Ch. 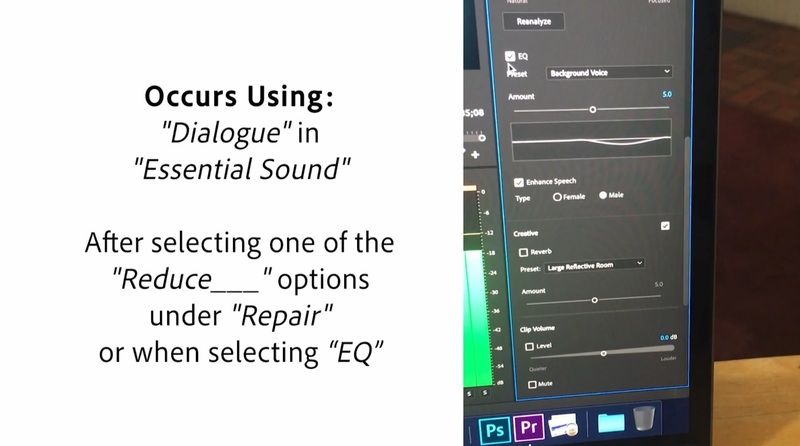 The issue for me seems to occur when I select “Dialogue” in “Essential Sound”, and can happen when I select one of the “Reduce___” options under “Repair” or when I select “EQ”. Update: It can also happen when using “DeNoise” from Audio Effects. 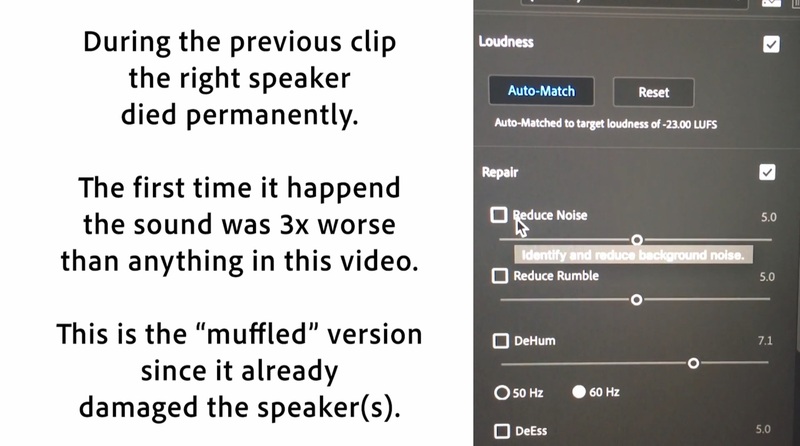 During the previous clip the right speaker died permanently. The first time it happend the sound was 3x worse than anything in this video. This is the “muffled” version since it already damaged the speaker(s).